Living in the digital electronic age, I don’t talk-talk to my friends and family often. I know they’re alive because I get emails, texts, IMs, tweets or FaceBook updates. This past week a friend of mine disappeared... digitally. He hadn’t made a Facebook update or Twitter posting since last Wednesday. First 2 or 3 days, I wasn’t so concern, maybe he got busy, last minute out of town trip, you know the general excuses though usually even overseas he has found a way to send a tweet or two about his adventures to make the slackers at home jealous. Then when days 5 and 6 comes around, you can’t be away from the internet so long without finding even a tin can to communicate through, right? I get nervous when I go on flights for more than 4 hours and they tell you we’re about to taxi and to turn off the phones. AHHHH!!! What will be my last message to the world? After 4 days of digital silence, I mention my concern to my roomie. She thinks it’s odd, but wonders if he had just gone on a trip as he is known to randomly do. Day 5, she tells me to try to call him (No, I hadn't done that yet, don't ask why, but I just haven't. We've talked on the phone twice in the 5 years I've known him.). Straight to voicemail. I realize then that I really don’t know much about him outside of our digital communications and occasion face to face run-ins at work. We email, tweet, IM, text and Facebook everyday but I have no idea where he lives (I have his address for our xmas card list, but never been there outside of a video podcast) or who his roommates are, so I can’t even text or email them to check to see if he’s dead in his room or his other friends to see if they’ve heard from him. Now the dilemma comes. 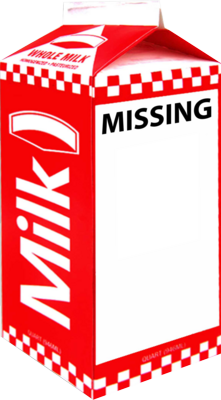 How do you file a missing person’s report for a digital disappearance? 911? Yeah, I normally text and tweet with this guy everyday, but he has disappear and not responding to any of his electronic leashes. ... Yeah, I don’t know if he’s ignoring me, maybe he is or maybe he’s dead in a ditch?? ... No I have not heard from any of friends or family either because I don't know them. ... Even for an episode of Law & Order, it’s a tough case to process. So I continue to think good thoughts and hope that he won the lottery and didn’t want to tell me, but really, why wouldn’t he? I don’t expect anything, just the exciting news I now know a winner and it does happen to people not in the middle of nowhere. Day 7, HE’S ALIVE!! He tweeted!! Yup, he decided to go on a digital hiatus. Strange and scary thought for me, but if that’s what people need to do, good for them. I would probably explode before the end of the day. I am planning on going on a cruise next year and my biggest concern is how will I access the internet and what cell service will I need to have when I’m out at sea. Why Don't I Have This Kind of Genius?